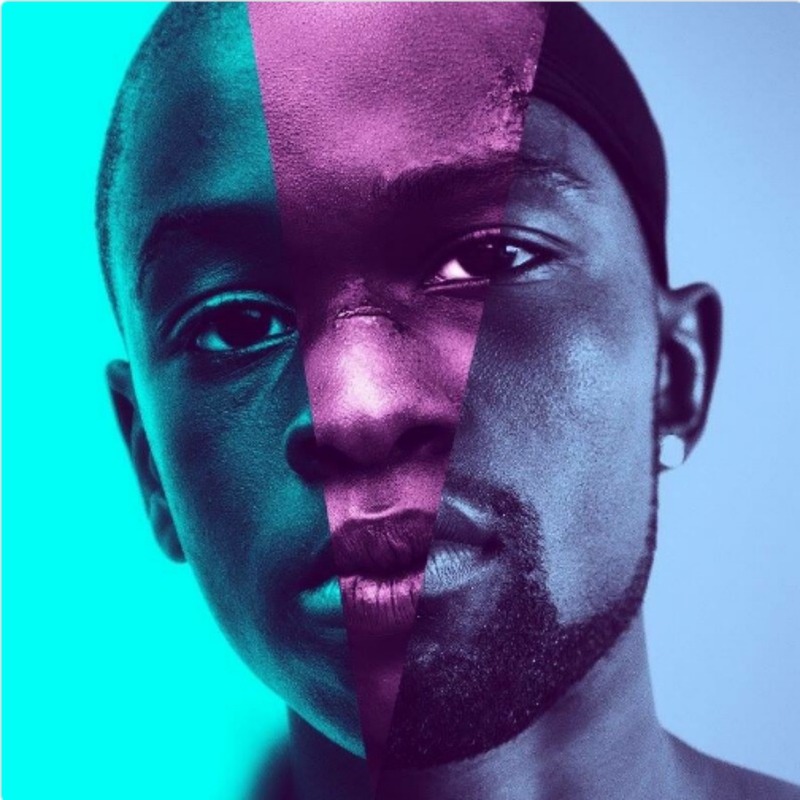 The main character in the film Moonlight (A24 studios) is a sad little boy who grows into a hardened man. Chiron is called Little as a child and is played by Alex Hibbert. He is silent and guarded, wide-eyed with warning to keep your distance. He’s ever on the run from tormentors, boys who target him because he’s one of those misfits that children are cruel to for no reason other than that they can get away with responding to our natural fear of outsiders with violence. His mother loves him. Unfortunately, Little’s mother is crack-addicted and neglectful, screaming at him and cuddling him in turns. His plight as the abused child mired in poverty is all too common in this world. Filmmaker Barry Jenkins has made one of those small, finely-wrought movies where, because the writing, the casting, the acting, the technical production are so good, he can get us to look at and care about the story of one unfortunate human in this world we might otherwise pass by. Moonlight’s cinematography is personal, making us run alongside Little as the boys chase him, having us hover lightly over scenes in the neighborhood, pulling us into the ocean with him. Despite Little’s relentlessly sullen stare and refusal to speak, he has a few people on his side. Juan, played by Mahershala Ali, is an affable drug dealer in the neighborhood who takes Little to the beach and coaxes him on to his back to float in the water. It’s one of the few times in the movie we see him not under duress. But an unsteady camera shot at the surface of the water pulls away from him, and we bob along well aware of his precarious position. Little later rejects Juan when he finds out he’s been selling crack to his mother. 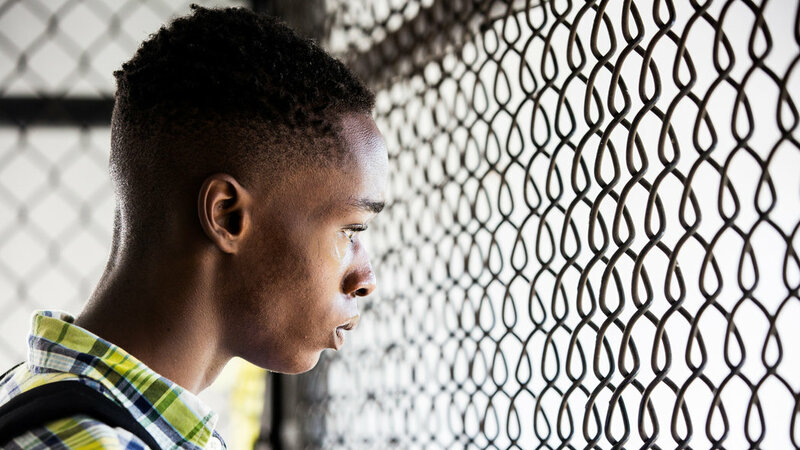 In the second of three formal sections of Moonlight, Little has grown into Chiron the teenager, played by Ashton Sanders, and he’s still a prickly loner. There is one person friendly to him named Kevin, played by Jharrel Jerome. Kevin is a confident, easygoing kid who ignores the conventions of teenage tribalism. When he and Chiron engage in a brief sexual act one night on the beach, it’s clear that it means a lot more to Chiron that it does to Kevin. Chiron had been grappling with a vague understanding of being gay from back when he was called Little. Kevin just enjoys the affection that comes to him in this life when you keep your heart open. But even Kevin isn’t immune to a brutal schoolyard game. He’s ordered by a powerful leader to physically attack Chiron and he acquiesces. When Chiron retaliates viciously not against Kevin but against the leader, he steps over a divide. No longer taking the abuse that comes to him, he is fighting back. There is a brief but critical scene of Chiron being removed from his high school by the police. He turns around to look back as he’s being put into a police car and we inhabit his eyes at that moment. We understand that since passive resistance didn’t work for him, he’s joining the ranks of the aggressors. He crosses a divide. The final scenes of Moonlight are with Chiron as Black (Trevante Rhodes), the drug dealer he has become, having developed a big, strong body and a cruel, taunting character. Tarrell Alvin McCraney, the screenwriter, is playing around with labels. First he stamps Chiron as little and powerless, later he’s black and menacing. These are the gross, defining characteristics that the world responds to in Chiron. There’s an orderly structure in this movie and a clear message that there are forces in the world too hard to fight against. The people who tried to help Chiron—Juan, Kevin and Chiron’s mother—couldn’t overcome the harshness of life. And, yet, there’s a tiny strand of hopefulness within the sad story. Kevin looks up Chiron years after Chiron disappeared into the criminal justice system and his criminal pursuits. Kevin’s upbeat nature has survived and Chiron finds a refuge, no doubt brief, from his troubles.